Thanks for stopping by. I am the world's worst for updating my blog. It happens maybe 2 or 3 times a year now. What I do want to tell anyone stopping by is, THANK YOU, and a Lot of new things are in the works and on the way, that you can expect to see from me in the future. Mainly, A new website. I pointed my domain name to this blog, so that I wouldn't be totally dead in the land of internet until I have a proper website. So, it's going to be here soon. until then, please join me on instagram, it's where I post most frequently. and, having said that, here's my latest doodle. I've been on a real kick about creatures and monsters lately. some cute, some creepy, some scary, some all of that. I've been playing with clay, and also with a lot of software and improving my skills. If you think you know it all, then you're probably really stale or stagnant or decaying as an artist. All professional artists keep learning and improving, no matter how skilled they are. ( or at least should be) i'm no exception. 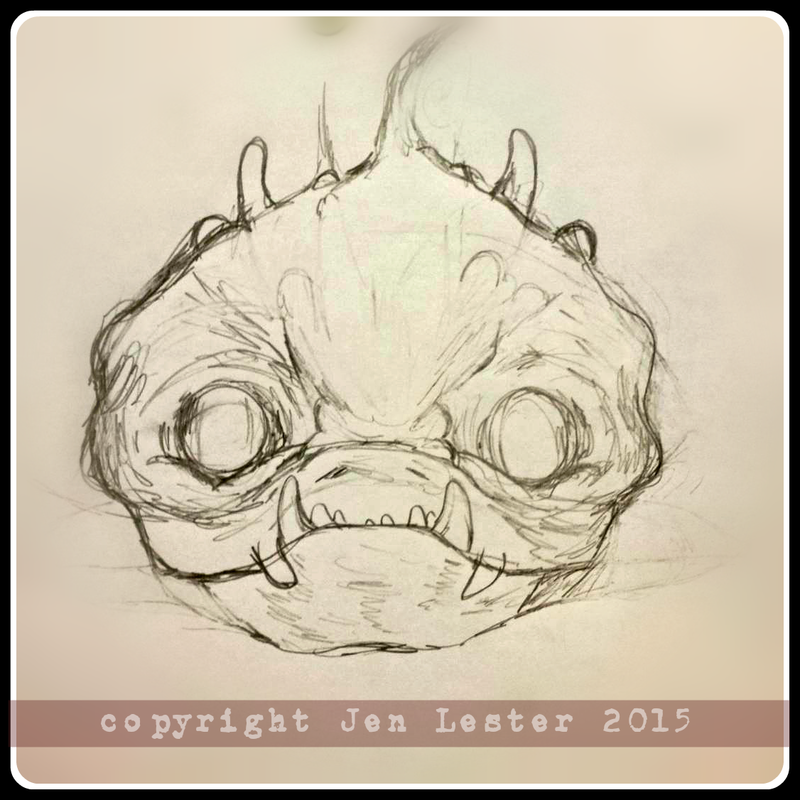 I have no idea what this creature is, but i'll probably paint it in photoshop this week to play around with some new techniques.